Protecting Workers from Infection: The best protection against infection is to avoid direct contact with sewage water, droplets and aerosols but then they can not do their job. Droplets and aerosols from the sewer are apart of the work. 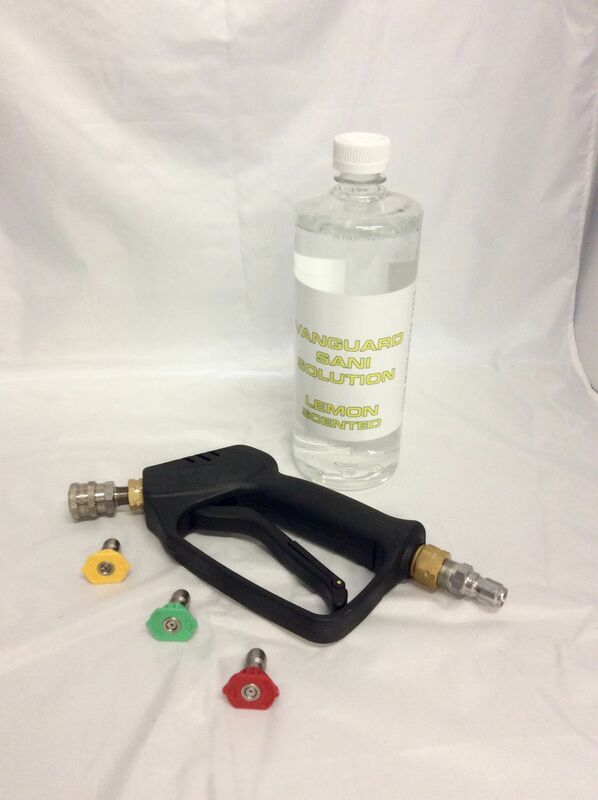 When using The Vanguard Pathogen Defense System, the droplets and aerosols are mixed with our non abrasive Sani-Solution making is way saver then being sprayed by 100% of raw sewage. Ask for our MSDS and see for your self how safe our Solution is verses Raw Sewage.